This level has medium difficulty and you need to use good technique to complete this level. For this level you should try to play from left bottom part of the board where you can find bear easily. 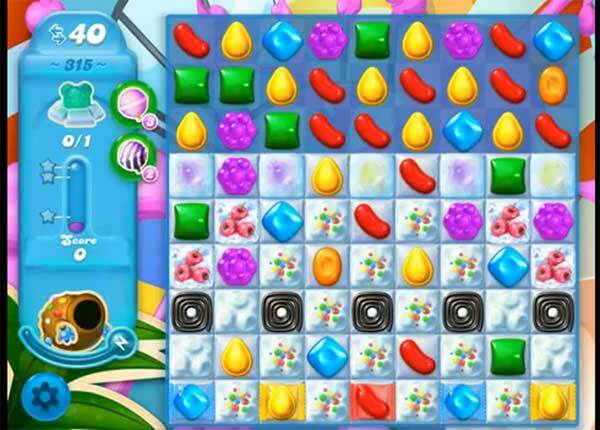 As you have more candies to play then try to make striped candy or any special candy to break more blockers. Or use sprinkleshell that you feed to use them to break the snow blockers to reach the target. I finished level 315 finally! Now level 316 will not allow me to play on.